These Mercury outboard motor storage covers’ are designed and tailored to fit the outboard motors listed below. OCS-M25-15 Mercury 4-stroke 3CYL - 25HP, 30HP, 40HP 15"
OCS-M25-20 Mercury 4-stroke 3CYL - 25HP, 30HP, 40HP 20"
OCS-M20-15 Mercury 4-stroke 4CYL - 40HP, 50HP, 60HP 15"
OCS-M20-20 Mercury 4-stroke 4CYL - 40HP, 50HP, 60HP 20"
OCS-M20-25 Mercury 4-stroke 4CYL - 40HP, 50HP, 60HP 25"
OCS-M15-20 Mercury 4-stroke 4CYL 2.1L - 75HP, 80HP, 90HP, 100HP, 115HP 20"
OCS-M15-25 Mercury 4-stroke 4CYL 2.1L - 75HP, 80HP, 90HP, 100HP, 115HP 25"
OCS-M10-20 Mercury 4-stroke 4CYL 3.0L - 135HP, 150HP 20"
OCS-M10-25 Mercury 4-stroke 4CYL 3.0L - 135HP, 150HP 25"
OCS-M05-20 Mercury Verado 4CYL 1.7L - 135HP, 150HP, 175HP, 200HP 20"
OCS-M05-25 Mercury Verado 4CYL 1.7L - 135HP, 150HP, 175HP, 200HP 25"
OCS-M00-20 Mercury Verado 6CYL 2.6L 400R, 225HP, 200HP, 250HP, 300HP, 350HP, 200HP PRO, 250HP PRO, 300HP PRO 20"
OCS-M00-25 Mercury Verado 6CYL 2.6L 400R, 225HP, 200HP, 250HP, 300HP, 350HP, 200HP PRO, 250HP PRO, 300HP PRO 25"
OCS-M00-30 Mercury Verado 6CYL 2.6L 400R, 225HP, 200HP, 250HP, 300HP, 350HP, 200HP PRO, 250HP PRO, 300HP PRO 30"
I purchased the full Mercury outboard motor cover recently. It was very easy to install, the inner lining was soft and the exterior appears to be sturdy. The cover was also exceptionally well priced. 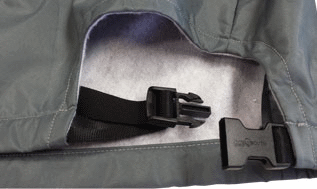 Click the button below to add the Mercury Outboard Motor Cover - Full to your wish list.